An ExpressJet pilot is at risk of losing his job after refusing a full-body scan and subsequent pat-down at Memphis International Airport. The pilot, Michael Roberts, was denied passage through security and did not make his flight. Here’s the basic play-by-play: According to a post written by Roberts on an ExpressJet pilots forum, he has flown through Memphis weekly for over four years without incident. But on October 15, Roberts encountered Memphis airport’s brand-new body scanner for the first time. He said he objected to the machine, which he equated to a “virtual strip search,” and also to the pat-down screeners offered as an alternative. At this point, he was hauled off by airport police and questioned by TSA investigators, released (though not permitted to proceed to his plane), and then brought in for more questioning before even leaving the airport. The TSA investigator arrived and asked for my account of the situation. I explained that the agents weren’t allowing me to pass through the checkpoint. 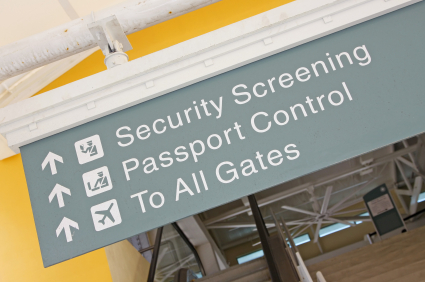 He told me he had been advised that I was refusing security screening, to which I replied that I had willingly walked through the metal detector with no alarms, the same way I always do when commuting to work. He then briefed me on the recent screening policy changes and, apparently confused, asked whether they would be a problem for me. I stated that I did indeed have a problem with the infringement of my civil rights and liberty. In an era where the Steven Slaters of the world are dubbed “heroes” for dramatically walking out on the job, it’s hard to know what to call someone who risks his career to take a stand like this. Some will indeed dub him a hero, while others will say it was foolish. Personally, I think Roberts speaks for many people who believe the TSA has lost sight of what it is protecting, but more on that in a minute. What is certain is that the system is deeply, fundamentally flawed. For starters, Roberts is a pilot. As in, he flies the plane. As in, he could board the plane with absolutely nothing and still cause as much mayhem as a bomb-strapped terrorist—because he controls the plane. Further, as I’ve noted before, the choice between a full-body scanner and an “enhanced pat-down” is hardly a choice at all: Dueling versions of privacy infringement do not constitute “alternatives,” but merely variations on a theme. Travelers are considered guilty until proven innocent, as far as the TSA is concerned, and we forfeit our rights to privacy the second we book a ticket. To paraphrase the investigator from Roberts’ incident, our rights are irrelevant. So what, then, are we protecting? Lives, sure, though not our way of life, and at some point we have to ask if we are giving up more than we’re getting. Airport security, no matter how comprehensive, cannot promise perfection. For every advancement in security there’s a criminal mind somewhere thinking of new ways to take down planes. But instead of an intuitive, proactive approach to safety, we get security theater, which creates an illusion of control by constantly broadcasting the threat, and aims to reassure the innocent by treating everyone like would-be criminals. But a system that ensnares a certified, experienced pilot, detains him, and refuses to let him fly, despite the absence of any potential threat, is a system run amok—focused, dangerously, on the wrong villain.